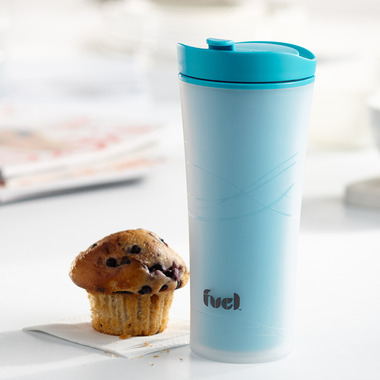 If you like drinking hot beverages on the go, the 16 oz Micro Travel Tumbler from Fuel will follow you everywhere. 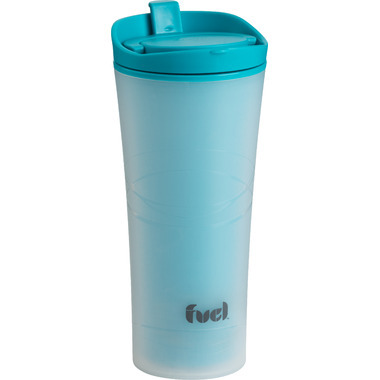 Its double wall insulation keeps your beverage hot for up to 2 hours while protecting your hands for the heat. Don't be afraid to move around with it since it has a leak-proof flip-top lid. It also fits most car cup holders for a fun drive time. You want to reheat its contents? No problem! The Tumbler goes in the microwave without its lid. It's even dishwasher safe for an easy cleanup.